- Steel with epoxy powder coating. Ultrasonic power generation at 40 Khz. Fragmentation enabled Continuous and Pulse mode ( pulse selection from 1 to 15 pulse ). Micro Pulse mode. 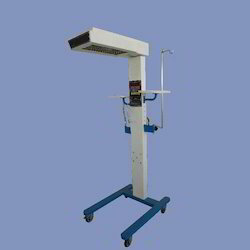 Phaco power from 05- 100%. Linear / Non-Linear option. Ultra Advanced DSP processor based and continuously auto tuned. Ultrasonic usage time display Preset value. Programmable and recall facility. Attucho Vacuum Splints are completely x-ray transparent. They can be cleaned and disinfected with alcohol and mild soap and water. Friction and tear resistant special TPU material provides maximum service life. Set of three together with vacuum pump, and carry bag. Due to deep knowledge of the industry, we are offering a wide range of Height Measuring Stand to our customers. A quality tester team tests these stands on quality provisions for delivering error free range. 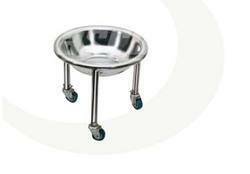 Besides, our offered products are very popular amongst clients because of its accurate measurement.